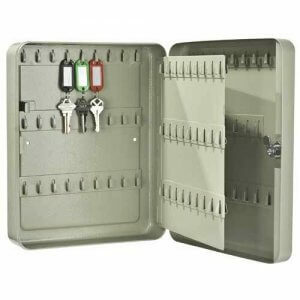 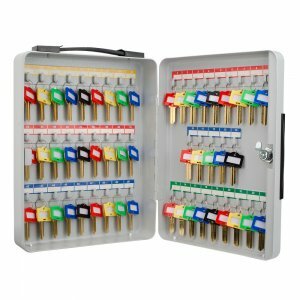 The 90 Position Key Lock Box from Barska features a hook-style cabinet that makes key organization easy and convenient. 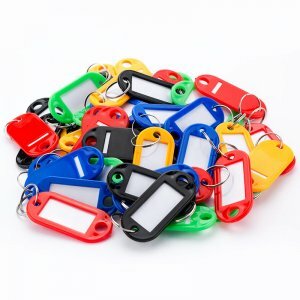 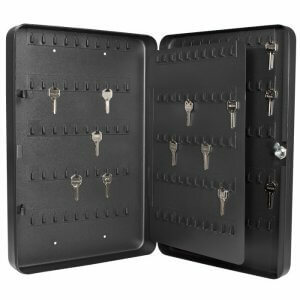 Inside the cabinet are 10 rows of numbered hooks, allowing the user to quickly locate and retrieve the needed key. 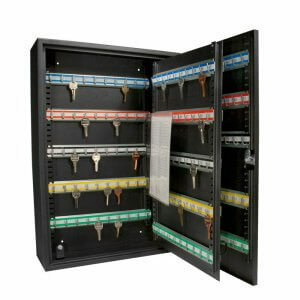 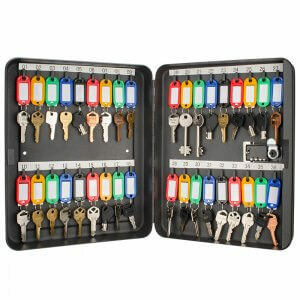 A center divider provides even more storage for up to 90 keys in this compact key cabinet. 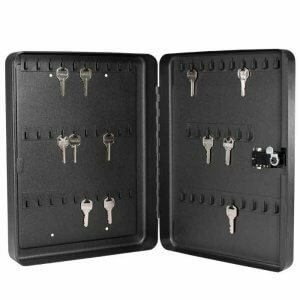 The key box has four pre-drilled mounting holes and included hardware for installation. 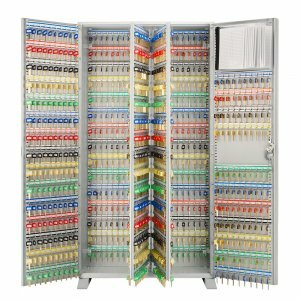 The cabinet walls and door are constructed of 0.8mm solid steel and finished with a gray coating.